Web3.0 - Was erwartet uns da? Konzeption und prototypische Realisierung eines Webportals "Tennis"
640k ought to be enough for anybode. Motion Pictures will eliminate the need for textbooks. Radio will make universally available the services of the finest teachers. Thirty years from now the big university campuses will be relics. Students today depend on paper too much. 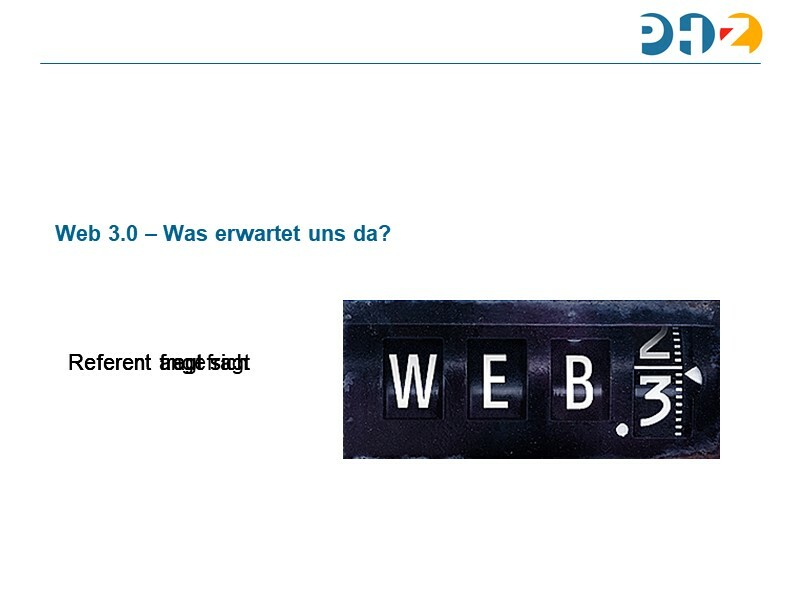 Web 3.0 = Semantic Web? Web 3.0 in der Schule? Personal Learning Environments in der Schule? UNM 11.0 - Was erwartet uns als nächstes?